With only a couple of days left until the AIA Conference on Architecture 2018 (A’18) brings thousands of architects to New York City, many industry professionals are taking the opportunity to raise awareness about inequality, discrimination, and harassment in the field. A flash mob, workshops on #MeToo, and a resolution requiring ethical and equitable workplaces are all in the cards for this year’s conference. The rise of the #MeToo movement and the harassment and assault allegations against Richard Meier exposed fault lines in the architectural community that some say were always buried just below the surface. Women in architecture have been speaking up as a result, and architects are using this year’s convention as a national platform to make their voices heard. Frances Halsband, FAIA, co-founder of Kliment Halsband Architects, started a petition asking the AIA to amend their code of ethics to require that member workplaces must be free of discrimination, harassment, and abuse. Halsband’s petition and accompanying Fellowship is Leadership resolution, originally sent to 60 AIA Fellows, has signatures from nearly 500 fellows at the time of writing, over ten times the amount required to bring an item to a vote. The petition was quickly codified into a resolution that Halsband brought to the floor of the AIA Conference on June 20 during the Business Meeting. Each of the delegates representing all AIA members will be given the chance to vote on whether to adopt the amendment. The measure passed overwhelmingly, with 4272 voting in favor of amending the code of ethics, 13 opposed, and 136 delegates abstaining. Carl Elefante, FAIA and AIA President, says that for their part, the organization is working to initiate a full suite of equity, diversity, and inclusion plans. The #MeToo movement and allegations against Harvey Weinstein and other high-profile men have brought a sense of urgency to the proceedings, said Elefante, but the AIA is a massive organization. Changes need to work their way through the appropriate committees and efforts to combat harassment and create a more equitable professional workplace have already been included in the 2016 – 2020 strategic plan. Ultimately, there are three levels in the AIA’s structure that need to be addressed: the national, at the 217 local AIA chapters, and on a member level. At the local level, Elefante discussed the coming harassment policy and training that chapters must adopt by 2019. Unfortunately, he noted, the AIA is an organization. Architects are either AIA members or they aren’t, and it often falls to firms to police their own culture. For their part, the AIA is working with the National Council of Architectural Registration Boards and with firms to raise awareness of the issues. 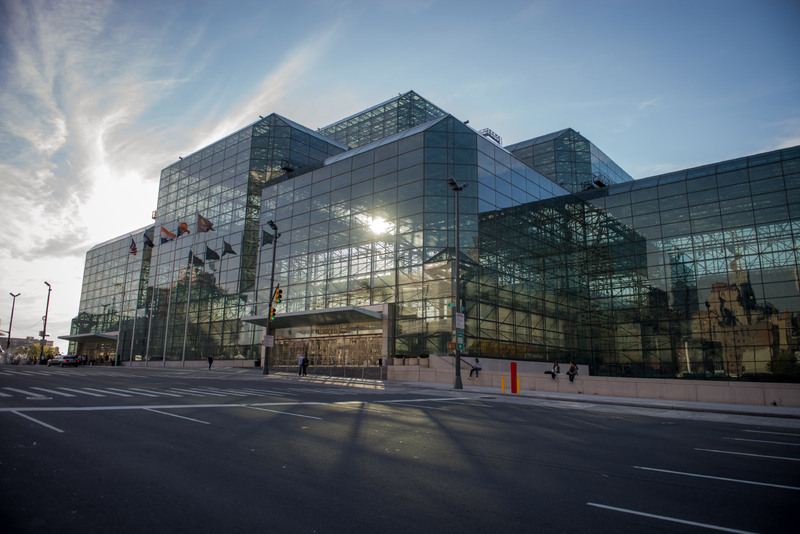 On Friday, June 22, a flash mob intending to raise awareness of the discrimination and harassment that women in architecture experience, similar to the one staged at this year’s Venice Biennale, will gather at 12:30 pm at the AIA “member lounge” in the Crystal Pavilion on 34th Street and 11th Ave at the Javits Center. Beverly Willis, FAIA, of the Beverly Willis Architecture Foundation, a nonprofit that advances the recognition and contributions of women in architecture, and Caroline James, who started the petition to retroactively award Denise Scott Brown the 1991 Pritzker, will be leading the charge. The AIA is hosting its own handful of workshops on equitable practices in the workplace as well. On Friday, June 22, visitors can attend the “Harassment in the Workplace, Part 1—Compliance and Culture: Building a Respectful & Harassment-Free Workplace Culture” workshop from 10:30 AM to 11:30 AM. After learning how to recognize and avoid harassment in the workplace, conference guests can follow up with “Harassment in the Workplace, Part 2—Community and Resources: Hearing Voices & Exploring Conversation Strategies,” a panel on Saturday from 8 AM to 9 AM. Syracuse University’s Fisher Center at 19 East 31st Street will be holding a hackathon for equality on Wednesday from 1 PM to 5PM, where established architects and emerging voices can come together and present radical ideas for making architecture practices more diverse, equitable, and open spaces. Back at the Javits, interested visitors can stop by “The Missing 32 Percent (Women) & Missing Small Architects” on Thursday from 10:30 AM to 11:30 AM and learn about the roadblocks that women in architecture face on their paths towards representation and recognition. The Architecture Lobby will be using the conference as a springboard for its own set of talks and workshops on Friday and Saturday. Saturday’s “Infrastructure: The Architecture Lobby National Think-In” will gather a diverse set of participants and build a dialogue about how to fix both the hard and “soft” (intangible) problems plaguing architecture. At the Think-In, the “Labor” session from 2 PM to 3:15 PM will address the problems of low wages, long hours, and the lack of job security facing architects; the “#MeToo” session from 3:30 PM to 4:45 PM will tackle the backlash that accusers often face when coming forward; and the “Alternative Forms of Professional Organization” session from 5 PM to 6:15 PM will examine how architecture practices and architects as individuals can best order themselves and create mutually beneficial professional structures. All of these sessions will be held at Prime Produce, a nonprofit gathering space at 424 W 54th Street.